Curry-all-you-can was the first meal for the day. 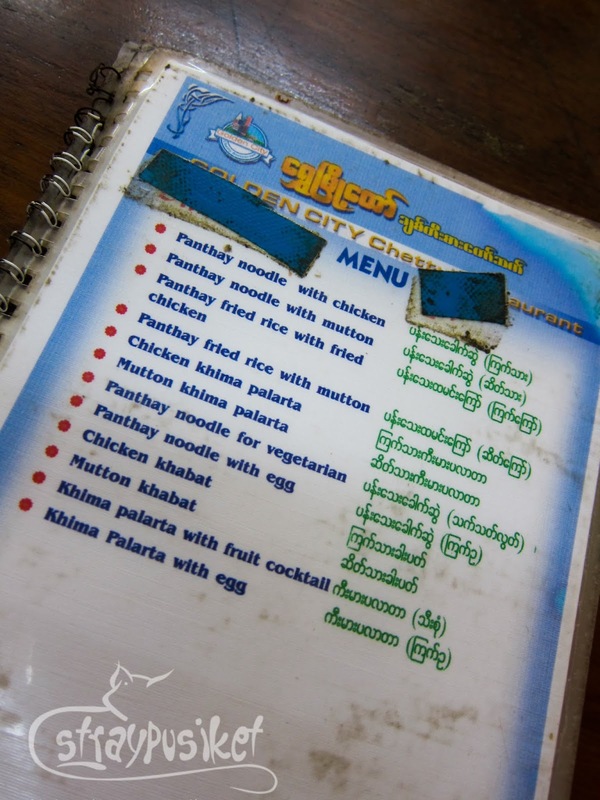 Though not all of us ordered what seemed to be their bestseller, the whole experience of eating in that first restaurant we saw in Yangon was a failure just okay. 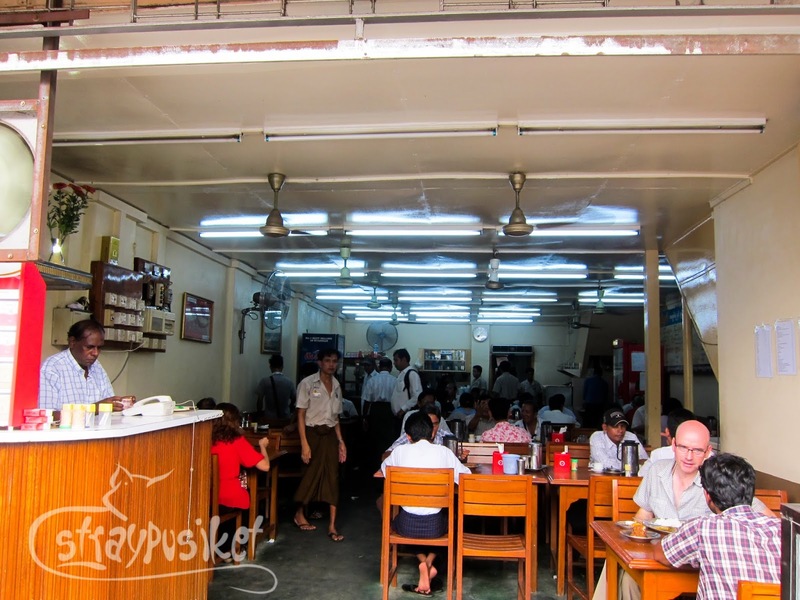 Our first day in Yangon was actually a series of failures from 2 bad restaurants to a quick but heavy rainfall. But did it ruin our day? Of course not. Taking a plane to Bagan was a very costly option for us ($138/passenger) so we planned to take the night bus. That way we can also save a night's stay in Yangon. 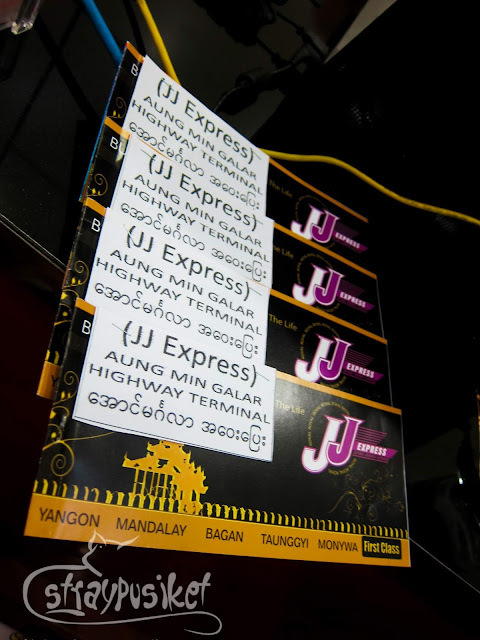 So the first thing we did when we got out of the hotel was to look for a travel agency that sells bus tickets to Bagan. We couldn't find the location of the travel agency suggested to us by the hotel's concierge so we decided to have our lunch first. 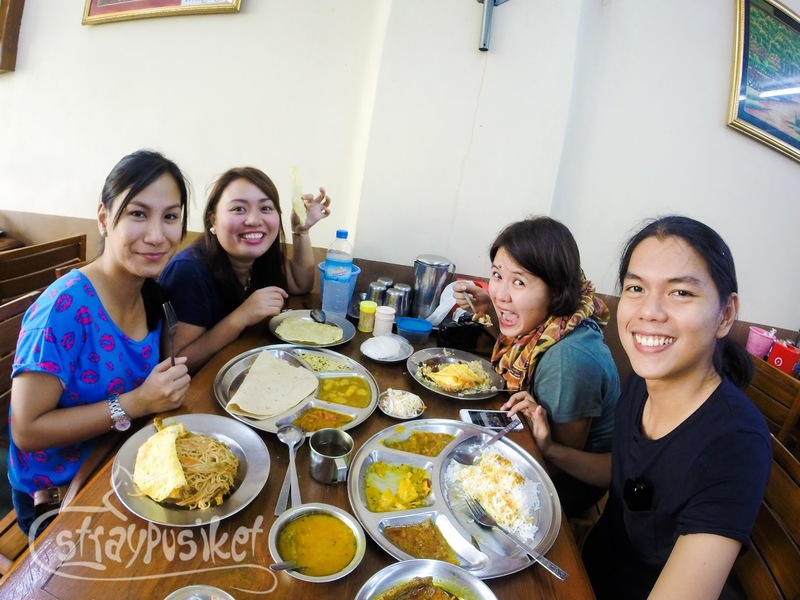 No familiar restos on sight so we went inside the first local restaurant / eatery we found. We already expected to be welcomed by non-English speaking staff but glad they were able to provide us with an English menu and actually can speak basic English. 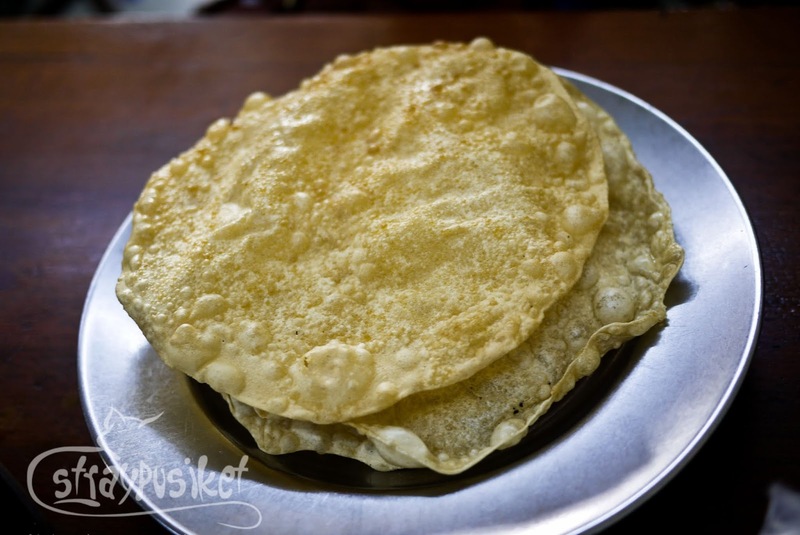 Their offerings are Indian cuisine. 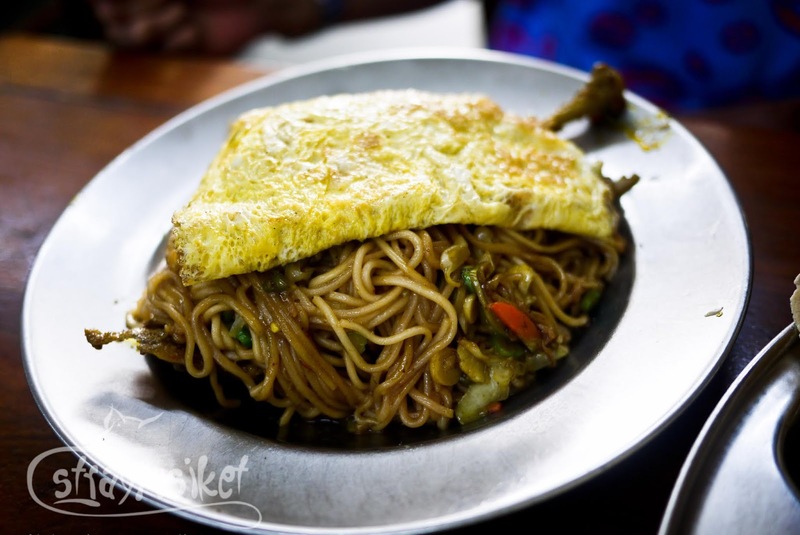 We ordered 2 thalis (an Indian meal made up of different dishes), panthay noodle with egg, panthay fried rice with fried chicken and extra chapati. 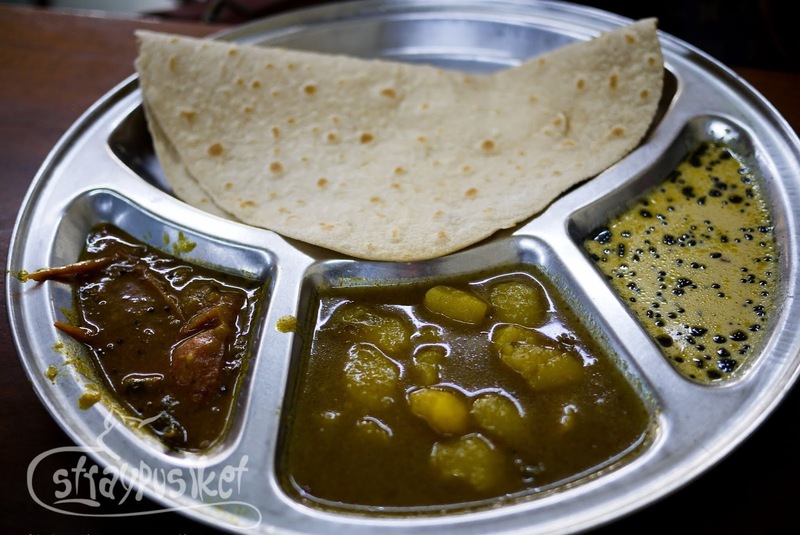 Meals were served in metal plates. 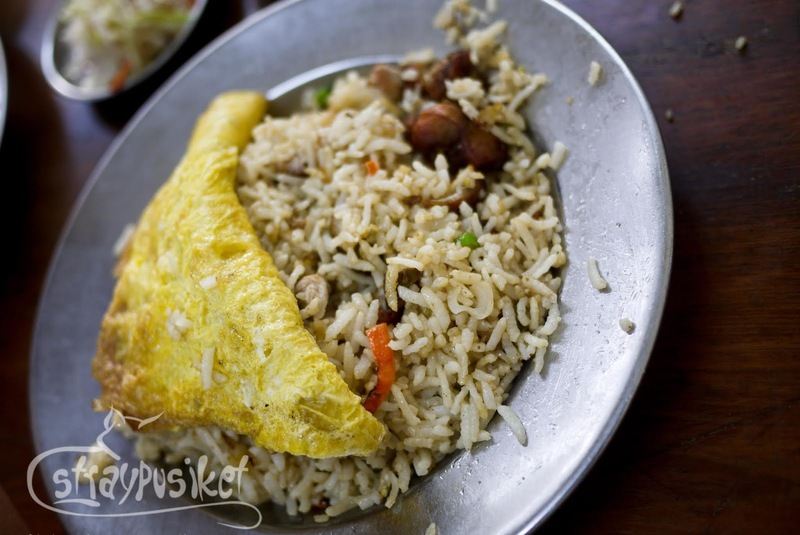 While I try to enjoy the oily fried rice and small pieces of chicken, I feel bad for my companions who didn't like their food. And why did I say that it's curry-all-you-can? Because the thali is refillable. A restaurant crew goes around with his stainless bucket of curry and stops on every table to check if you want a refill. But who needs a refill anyway? Seeing that it was packed with locals (maybe because of the affordable price), the restaurant is not actually bad but maybe it's not good, for us. After lunch, we went searching again for a travel agency and found one. 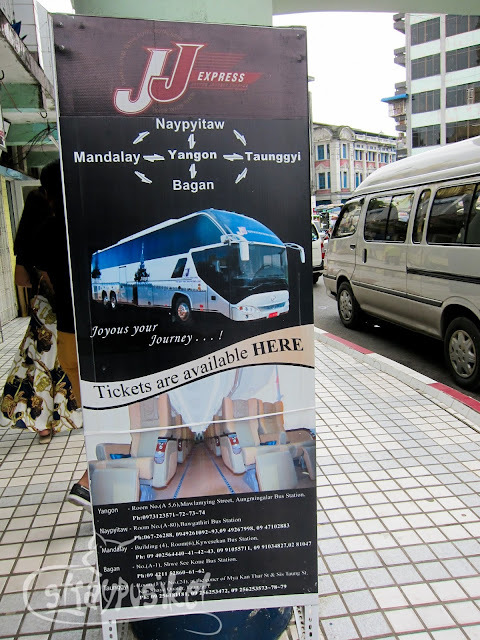 Just along the Sule Pagoda Road is Loyal Area Travel and Tours. We only preferred to ride JJ Express because of its good reputation. (Will talk more about it on a separate post). 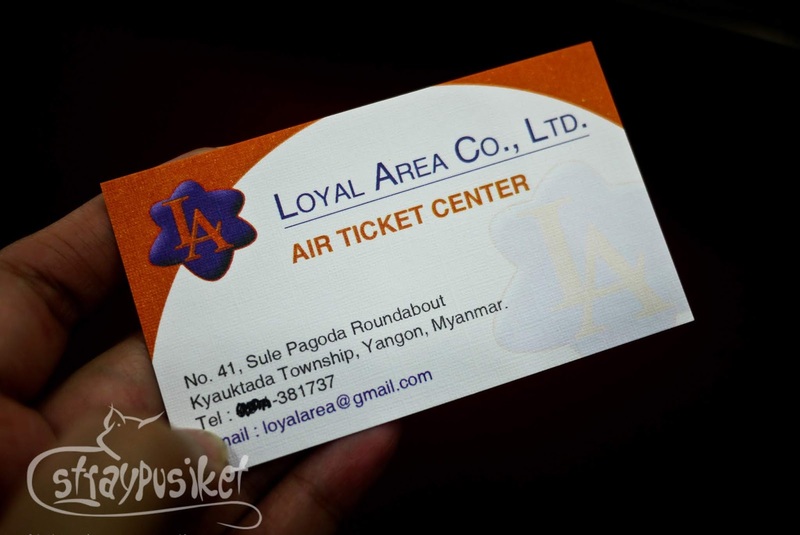 Price of the ticket is 18000 kyats + insurance fee of 500 kyats.